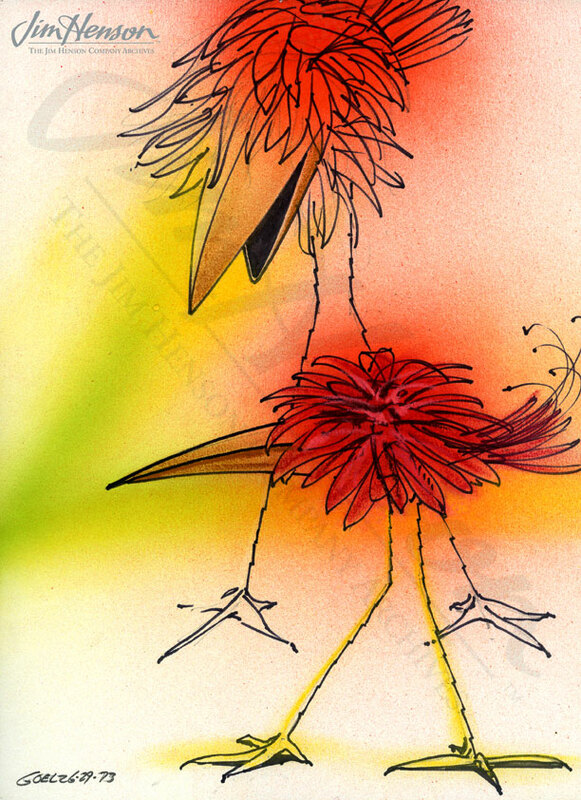 When Dave Goelz (best known for his character Gonzo) first came to work for Jim in New York, it was as a designer and puppet builder rather than as a performer. 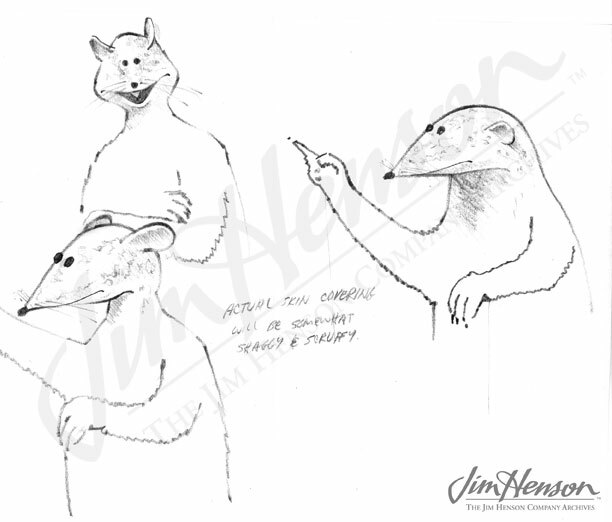 He helped create puppets for numerous productions and was particularly involved in the development of characters for Jim’s unrealized Broadway Show. He drew from his experience as an industrial designer to create both the look and the mechanisms that made the Muppet characters so expressive. His abilities in this area helped his performance in unforeseen ways – after performing Gonzo for a while using a character recycled from the 1970 special, The Great Santa Claus Switch, Dave rebuilt him, creating an eye mechanism that allowed them to open and close. 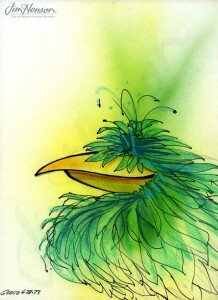 With this improvement, Dave was better able to express Gonzo’s surprise and excitement, further developing his character. Dave built Zoot, Floyd, and other Muppet Show characters, but as his enormous skills as a performer became apparent during those years, he spent fewer hours in the workshop. He made important contributions as a puppeteer on Dark Crystal, Labyrinth and particularly Fraggle Rock and continues with Gonzo today, most recently in The Muppets Most Wanted. 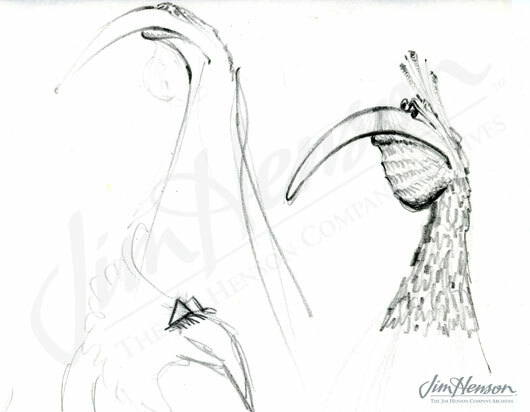 Dave Goelz’s bird design for Jim’s unrealized Broadway Show, 1973. 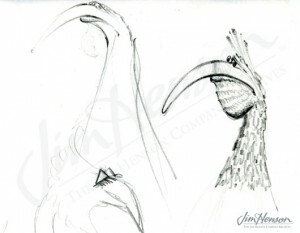 Dave Goelz’s puppet design for Mirinda commercial, 1975. Dave Goelz’s character design for Emmet Otter’s Jug-band Christmas, 1976. 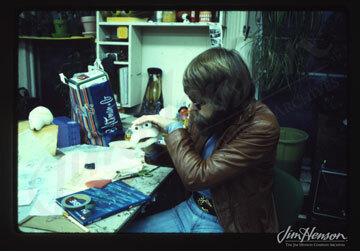 DaveGoelz working in the Henson workshop, 1976. This entry was posted in 06-June '73, 1973, Dark Crystal, Fraggle Rock, Labyrinth, Muppet Show and tagged Dave Goelz, Floyd, Gonzo, New York, Zoot. Bookmark the permalink.